The Italian colonialists had great difficulty establishing effective governance over their new territories. In addition, the transformation of arid land into an Agricultural Empire as was envisioned by the colonial lobby, also floundered. Soon after the Italian conquest, two devastating World Wars changed the political dynamics in North Africa and Europe. 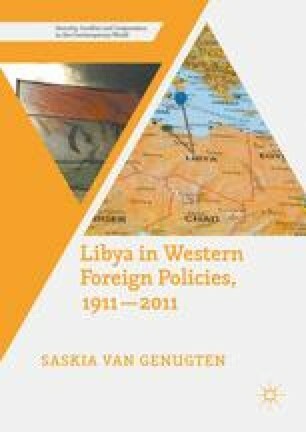 Libya, as part of the Italian sphere of influence, but bordering British and French controlled territories, found itself on a fault line of fighting. Especially the Eastern province, Cyrenaica, suffered substantial damage, with large numbers of the population affected by the war efforts of both the Allied and the Axis forces. The wars also weakened Italy. Britain had established an alliance with the Sanussi leadership aimed at battling the Italians together. During that process, the seeds for Libyan independence were planted as the British promised the Sanussi that their land would never fall back under Italian rule.